When Ty Cobb first started playing major league baseball, he was quickly named “The Georgia Peach.” In his demeanor both on and off the field, he was anything but. “...A Snarling Wildcat” was what he said his teammates on the Detroit Tigers had called him. Cobb later said it was a result of their hazing treatment of him as rookie. Regardless of the actual story, no one can deny that Ty Cobb was one of the great ones. Considered perhaps the master of the dead ball era of baseball, Cobb's grit and determination and the war he would wage whenever he played baseball, made him an object of admiration and also controversy throughout his career and all his life. Tyrus Raymond Cobb was born in rural Georgia in 1886. His father was a schoolteacher, principal, newspaper publisher, state senator, and county commissioner. As is often the case, his father wanted him to study, but Ty wanted to play baseball. Reluctantly, his father agreed, admonishing him: “Don't come home a failure.” His parents’ marriage was a tumultuous relationship that ended when his mother accidentally shot his father after mistaking his father for an intruder. For his part, Ty Cobb's father believed his mother was being unfaithful and was attempting to catch her in the act. It was a mere three weeks later that Ty would begin playing major league baseball. This experience traumatized the young Ty Cobb, who later remarked that part of his determination playing baseball so fiercely was that his father never had a chance to see him play. In regards to his drive, Cobb once said: “I never could stand losing. Second place didn't interest me. I had a fire in my belly." Cobb's relentless analysis and fierce playing style made him a legend in the dead ball era. Someone remarked that every time Ty Cobb came onto the field, he was ready to wage war. Despite his longtime rivalry with Babe Ruth, Cobb was also generous in his praise of his rival. When asked who the best hitter was he'd ever seen, he answered: “You can't beat the babe. Ruth is one of the few who can take a terrific swinging and still nail the ball solidly. His timing is perfect.” For his former teammate, Sam Crawford, who would become his bitter rival, (Crawford feeling correctly that Cobb had overshadowed him), Cobb wrote several hundred letters to influential people lobbying for Crawford to be inducted into the Hall of Fame, which he was 1954; none of which was discovered until after Cobb's death. In everything Ty Cobb took an interest in, He gave it 100%. In baseball his mind was always focused on the game, how he could improve at bat how he could improve at stealing bases, how he could improve his team's performance, how he could improve his own athleticism. Ty Cobb would even look to how he could change the environment of the field to his advantage. In the off-season, Cobb would weigh his shoes down so his legs would be stronger. Cobb would do the same in business, learning everything he could from the leaders of the industry, gleaning best practices, and making sound investments that would make him the richest player of his day. Cobb once said: “I never could stand losing. Second place didn't interest me. I had a fire in my belly." In everything Ty Cobb did, he was in competition with everyone, and even himself. In baseball, if someone outperformed him, it angered him, and he would return and do better. He would always look at what other players did well and seek to imitate it. Despite complaining loudly about Babe Ruth's home runs, Cobb learned to hit the ball the same way, even hitting three home runs in a single game. While Babe Ruth was “the Sultan of Swing,” Cobb is regarded as a better all-around player, and his stats show it. Several of his records stand to this day, and those that have been surpassed took decades to do. Ty Cobb's father was very much against his playing baseball. Being educated man himself, he saw the best opportunity for his son was to follow in his footsteps. For his part, Ty Cobb believed he would've made a good doctor and been successful at what he did. 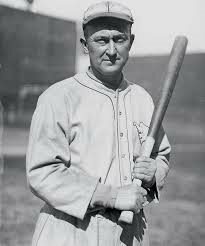 But Ty Cobb's love was baseball, and by putting his whole self into the game he became one of its most successful players.